Mumbai, April 4: An on-field injury followed by some controversial statements off the field saw all-rounder Hardik Pandya in the news for all the wrong reasons. 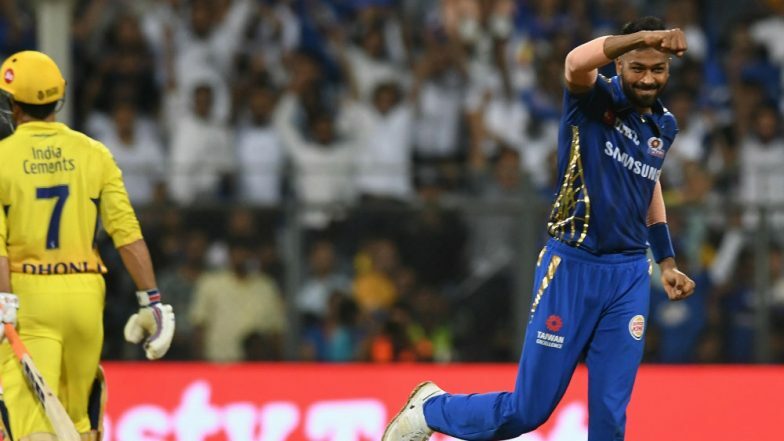 But the Mumbai Indians player wants the focus back on his game and was instrumental in helping MI beat Chennai Super Kings by 37 runs at the Wankhede Stadium. Speaking after the game, Pandya thanked all those who have supported him through his tough time. MI beat CSK by 37 runs | Mumbai Indians vs Chennai Super Kings Live Cricket Score 15th T20 Match.